Adjustable shoulder straps for a precise fit with or without a neck brace. Low profile neck brace compatible roost deflector. Adjustable shoulder straps for a precise fit with or without a neck brace. Easy to use buckle system integrated into chest plate. 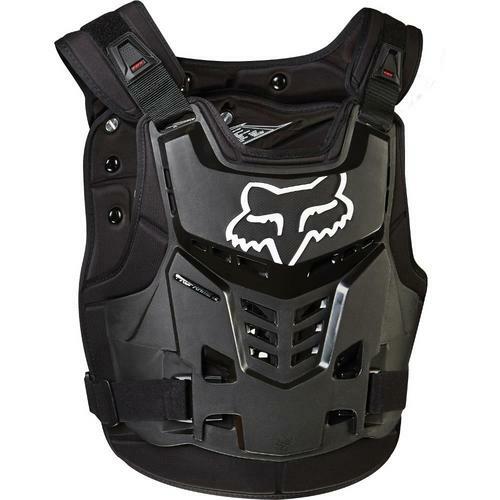 Removable back plate allows rider to wear as chest plate only. 2 position adjustable back plate for a precise fit. Soft biofoam chassis against body for a comfortable fit.